A specific type of aircraft engine referred to as the Lycoming Engine has one of the most comprehensive manufacturing processes of all produced engines. The manufacturers of Lycoming Engines have approved a specific additive package for engine oils employed in their engines – this approved additive package is referred to as LW 16702. LW 16702 approved additive package works to reduce abrasion and wear in engine cylinders. This additive package is added to aviation lubricants in order to satisfy the rigorous OEM requirements of Lycoming engines employed in aircraft. In addition to this specific additive, other additives are included in LW 16702-containing oils. These oils readily protect against the formation of rust and corrosion and have increased thermal stability: this, in turn, may contribute to the unique and increased performance characteristics of these oils. Aviation oil containing additive LW 16702 protect engine components and provide easy startup in all conditions. These premium quality aviation oils are better suited to protect engine components while preventing the excess buildup of debris and sludge. 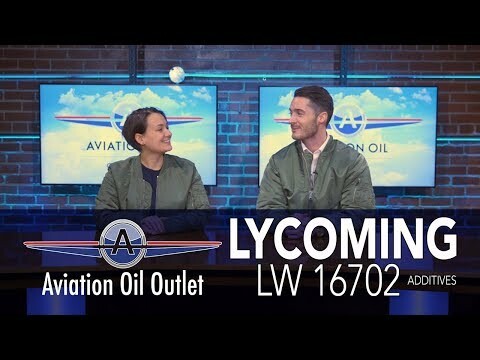 LW 16702-containing aviation oil are formulated from premium base stocks and designed for ultimate protection and performance in Lycoming engines.